It is fun to think that a lot of shows in the television, comic books and even movies are zombies inspired. Surprisingly a lot of who watch and read the story loved it instead of getting scared of these zombies. Even me, I find these zombies cute and funny especially because I enjoyed playing Plants vs. Zombies. Instead of fearing them I even had fun collecting some zombies stuff. Here is a list of great stuff I found which will be a great gift idea to give someone you know who loves zombies! And make sure you save your brain away from them too! A slimy miniature brain with dripping blood effect is a sure hit for zombie fans. Well this isn’t really as gross as you think; it is actually a decorative soap that weighs around 2- 2.5 ounces. Even how slimy and gross it looks it has a lovely raspberry and vanilla scent. It is made of natural soap base that assures you that your skin is free from harmful chemicals. It is made of pure vegetable oil, 100% glycerin soap. This is a unique gift to give someone who tends to like zombies a lot. This ceramic shrunken Zombie head mug is a cool gift for any type of occasion. If you are looking a funny or rare gift to give a friend or someone you know this idea will hit the spot. Try to drink from this mug if you dare! Since Zombies are delicate too this mug is not microwave and dishwasher safe so better wash it by your hands only. It looks hilarious to see someone sip from this mug; it looks like sipping out the zombie’s brain. What if all these zombie apocalypse stories all come true? How are you going to prepare for it? How will you defend yourself to survive just like the characters you see on zombie movies and television shows you love to keep on watching? Prepare yourself for a zombie invasion. 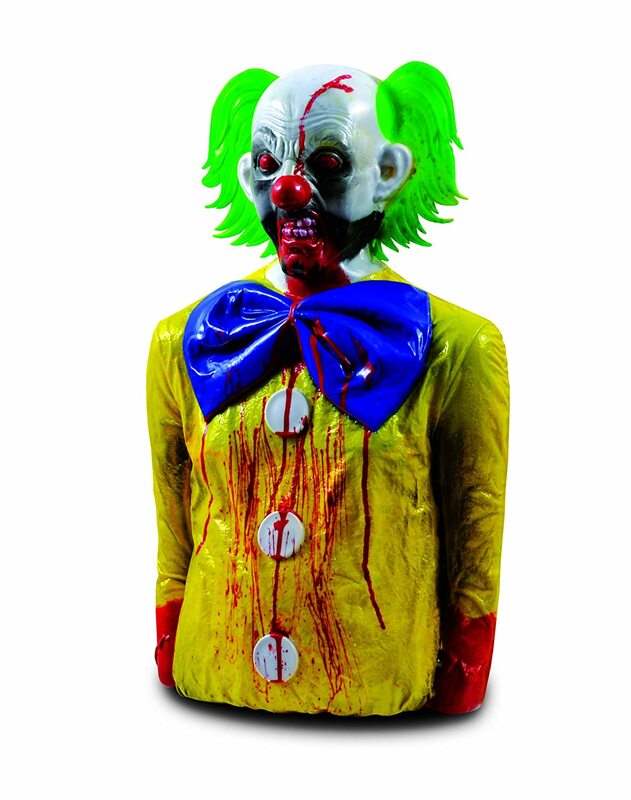 Practice shooting and make it look real with this zombie dummies. It looks so boring to do practice shooting on papers and cans. Make the target more realistic to add more fun. This gift idea will turn a normal day into a zombifed day! If you want to keep all those cookies just for yourself you might want to keep this for yourself but you can also share this as a gift to a friend or a family member. 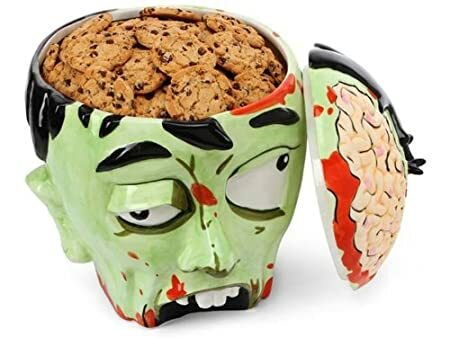 Lift the lid where the brain part is and see if you can dare to dig your hand into the zombie’s head for a piece of cookie. It looks creepy for kids and I doubt that they will dare to lift that lid to check if there are cookies inside. This is actually a good idea for a gift item on Halloween and any type of occasion. This wall piece is a cool gift to give and something you can have as well. It can be put on your wall door to surprise people coming in; imagine how they will laugh on realizing it is just a wall décor. Well it is for sure that people will be surprised and shocked to see a head hanging on the wall because it really looks almost real. It is made of resin and hand painted so it gives out realistic full color. It is also made of good quality resin cast so no matter how strong your visitor slammed the door and scream it wouldn’t break this fantastic gift item. This is a cool gift to give. Every morning when someone wakes up they are not fully awake partly they are disoriented and groggy just like these zombies. Imagine how zombie walks and compare it how a person walks when they wake up, isn’t just the same? It will look hilarious to see your friend on these slippers while walking like a zombie. Yes it looks creepy but it looks cool too! It looks like a zombie had a bath! It has a size that will cover you from zombies spying around. It has a size of 69”X 70” full color and a very nice accent to your bath room or any room. 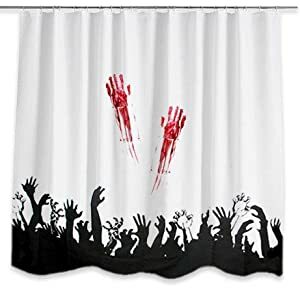 For sure if you are going to give this as gift to someone you know who is a fan of zombies he or she will change their shower curtain the moment they see it! When I see this item online I feel excited to put it on my own lawn. Honestly it looks great and spooky at night. It is actually a life size resin garden sculpture that is incredibly detailed that almost look like a real zombie ready to invade your lawn. It measures 31.5 X 19.5 X 8 inches. If you are looking for something different to give as a gift for any type of occasion or you know someone who likes zombies and odd stuff this is a good item to give. 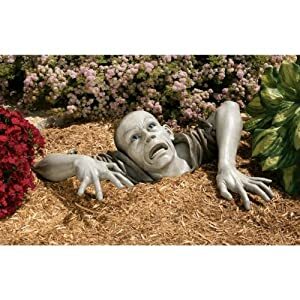 It will really make their lawn or garden creepier at night. It is also a cool thing to give to put a gag on someone! Are you looking for something unique, different and out of the norm gift ideas? This should be on your top ten picks. It is a hand sculpted brain candle (made of was not real flesh) and suspended in a gel wax to add more accent to this gift item. It is a funny gift for a geek friend, well, let me say, someone you know who loves some things far from normal. This is an unscented candle because technically we don’t really know how the brain smells, right? If you are thinking what is this for, this gift idea functions 100% so if there is a need to have a dim light or support light in case of power outage this will help a lot. We wouldn’t know if there is a zombie around when the light is out. Lego has been every child and child at hearts collection. As a child I had collected a lot of Lego toy set from Police Stations to Beach Party Collections. It is fun to play this cute miniature because it exercises your imagination. 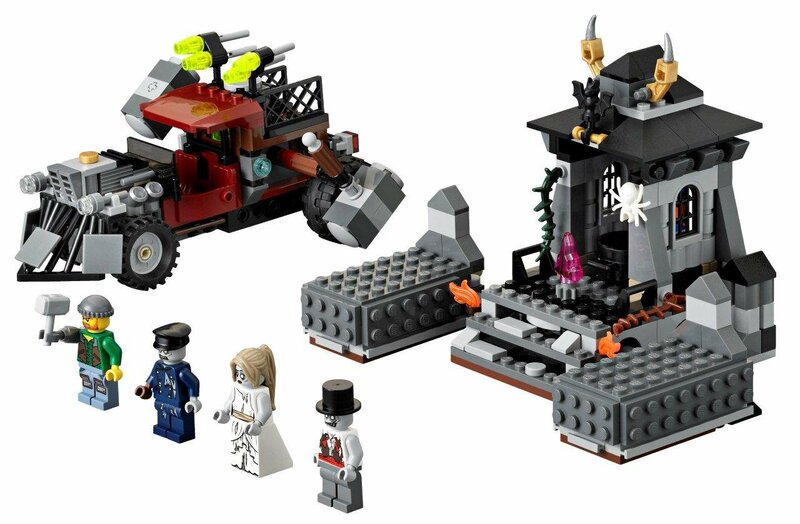 It is cool to see that even Lego has been infected by this Zombie fever and they already have a Zombie themed collection. If you know someone that loves Lego and are having fun with zombie stuff this is a perfect gift to give. This is a piece that a collector must have and you might want to have yours and start collecting Legos too! There are quite a lot of good zombie stuff. 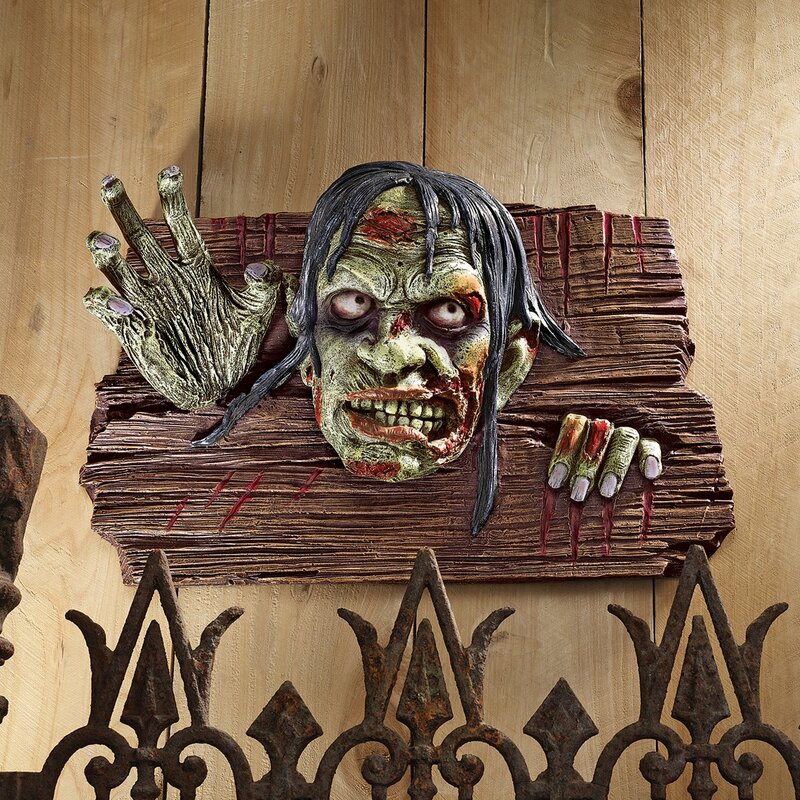 You can find a very exhaustive list on ThinkGeek (click here to get there) and Amazon (the zombie gifts compilation are here).